These two urban loft style apartments are bright and airy with high ceilings and some exposed brick. They feature heavy duty kitchen shelving and stainless steel appliances. In each of these units, the floor plan is a very wide open 1700 square foot single level rectangle. The nearest Metro stop is Shaw-Howard at 7th & S, NW; about an 8 minute walk. Metro bus lines on Florida Avenue are only 5 minutes away. 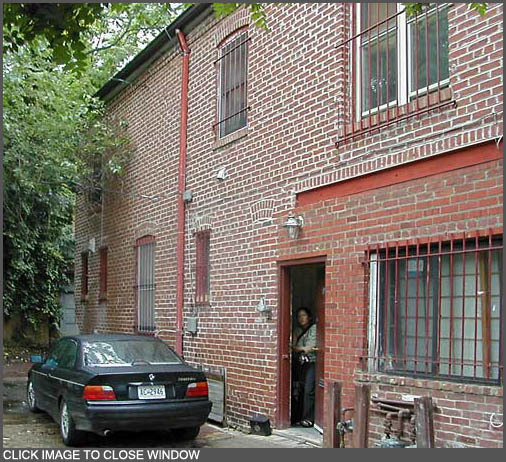 The carriage house is located in an alley [Aerial Photo] entered from U Street between 1st and 2nd streets. This alley is rectangular and resembles a courtyard. It sits behind the historic carriage houses that front U Street. The alley's driveway goes around the cluster of carriage houses in the middle of the alley. One can loop around the cluster of carriage houses by walking or driving around the rectangular drive way. Interested? Need more information? Please don't hesitate to contact us about this property.